It’s almost 3 days since the giveaway ended and we suppose to announce the winner yesterday but there were some reasons that made us to delay it. 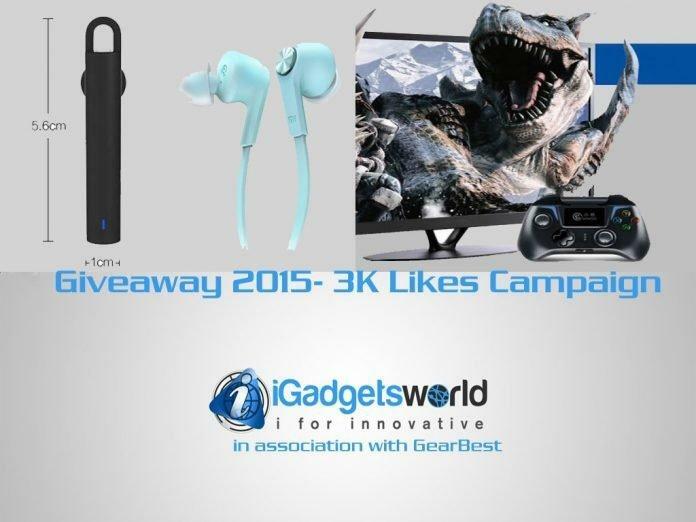 Actually the international giveaway which we ran was in association with Gearbest.com which will ship the product to only one winner. We’ve listed 3 products out of which, the winner can choose a product he likes and the same will be shipped by us without any shipping cost and so on. Based on the most entries we’ve selected a winner and he is..Mr. Karan Kohli from Jammu. He tried to use all the entries and contributed more than 200 entries 🙂 Congratulations Karan. 1.Choose a product which you want us to get shipped. Only one product we can ship to you. Contact us within a day or else your entry will be void. You can’t change the shipping address or claim the prize in the form of money. Feel free to contact me : admin@igadgetsworld.com incase if you have any doubts.